ID Security Online now offers special pricing to small businesses with less than 50 employees. This unique program translates into unbeatable deals on ID card solutions for thousands of companies in the United States. �At ID Security Online, we know all the challenges that small businesses have to face every day� says President of ID Security Online. �Our team of ID experts will guide every company and make sure that they get the best deal on the market. Plus, we offer full customer service and support to guarantee a smooth operation of their ID card system at all times�. To benefit from these unique discounts, call 1-800-897-7024 or visit www.idsecurityonline.com. ID Security Online is a leading provider of ID solutions and answers the needs of all organizations and corporations such as government, Fortune 500 companies, schools/universities, hospitals, and international / local sporting events. 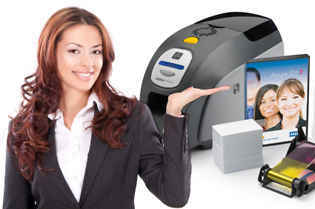 ID Security Online offers an extensive line of card printers, ID systems, supplies and accessories. These systems resist tampering with advanced features like holographic images, ghosted images, biometric data, smart card technology and enterprise level data base management. For more information, please visit www.idsecurityonline.com.